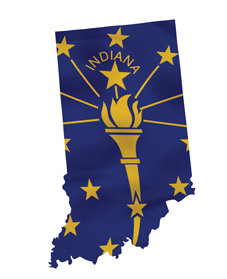 Southeastrans invites you to join our provider network to service thousands of Indiana members in need of non-emergency medical transportation. 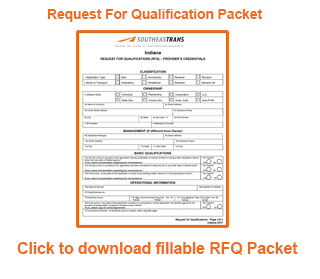 Simply download our Request For Qualification form below to get the process started. A representative will contact you within 48 hours of your submission to confirm you qualify, then walk you through our credentialing and training processes. We’re glad you made a decision to choose Southeastrans as an NEMT partner and we look forward to working with you.